Born in 2007, the company Motorflash Ibérica de Negocios S.L. 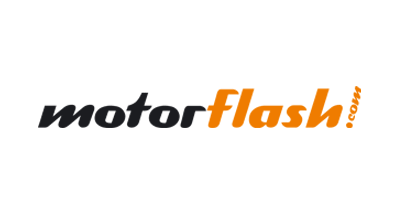 currently has two lines of business: a consultancy for manufacturers of major automobile brands and an online second-hand motor buying and selling portal, motorflash.com, which operates at national level. This double line of business forces Motorflash to have not only a quality customer service but also to analyze data of primary importance for the growth of the company and the satisfaction and loyalty of its current customers. The large number of calls and messages received every day, as well as the management of the portals of their users required the implementation of a solution that would allow the customization of services to each of their customers, combining flexibility with mobility and a multi-site system. 9,000 dealerships are part of the second-hand car portal motorflash.com. This figure gives an idea of the hundreds of calls that Motorflash receives every day from users from different points in Spain. These calls provide valuable information for the company so that it can improve its service and customize customer service by extracting and analyzing the data. “Knowing how many calls I have, who calls me, what I want to buy, what business consultant has answered the call and how it was answered are key questions for a service company, but the answers are not easy to obtain,” explains Nicolás Fernández de Cuevas, Managing Director of Motorflash. The answers to these five key questions can be obtained with the Cloud Contact Center of Masvoz. This advanced cloud telephony solution allows you to get the statistics and details of each call, as well as manage the incoming calls quickly and in a personalized way. “Masvoz has made us a custom suit that solves our problem and that of 9,000 car dealerships in this country,” Fernández says. In order to improve internal communication and between Motorflash locations, the Virtual PBX allows a unified communications service in the cloud, with a control panel with access through the Internet, different telephone lines and unlimited fixed and mobile extensions that facilitate the making and management of calls, as much for the employees as to the providers of the company. For an online portal formed by 9,000 car dealerships from all over Spain, applications such as meeting confirmation, automatic notices or contract processes confirmation is key to customer satisfaction. Masvoz’s Push SMS mobile messaging platform enables text messages massive or individual sending to mobile telephones making possible that communications with customers, providers or employees are agile and instantaneous. In this way, the interaction in real time, both inside and outside the company, is assured.